South Korea, officially known as the Republic of Korea, has one of the most powerful economies in eastern Asia. Not only does it benefit from humanitarian aid, it is a provider of it. However, despite the advances it has made, South Korea still faces certain problems, notably in the area of children’s rights. In principle, corporal punishment is forbidden. However, it still occurs both at home and in educational establishments. Teachers are not averse to slapping or beating students. Parents use corporal punishment because they believe it strengthens the character of their children and demonstrates how much they love them. 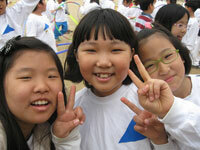 South Korea’s educational system is very competitive. Considerable pressure is put on children and some of them are unable to cope. Certain ones are even driven to commit suicide because they find the competition and the abuse that they suffer at the hands of their teachers to be unbearable. Campaigns of prevention have been undertaken, but they do not constitute a sufficient response to the problem of suicide on the part of minors. 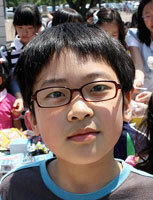 The children of international marriages experience certain difficulties in speaking Korean. Consequently, they suffer from problems of comprehension and learning when they attend school. This in turn leads to their being bullied by their classmates and teachers. The children of migrants also experience difficulties tied to learning. Owing to their parents’ feeble financial earnings, they do not have access to all of the educational advantages that many other children do. Children who suffer from mental or physical disabilities are often marginalized by the system of social protection. They do not attend school and therefore have no place in civil society. Furthermore, handicapped children are unable to adapt to their situation because they do not have access to healthcare that is suited to their needs. In certain educational establishments, the opinions of children are given no weight. The Committee of Children’ Rights has recommended that the South Korean government do more to respect the participation and ideas of children across the board—that is to say, within the home, at school and in society more generally. South Korea is a source, stop and destination for sexual commerce, particularly that which deals with women and girls. Young Chinese girls pass through South Korea before being sent to the United States where they become the victims of sexual exploitation. Women from Russia, Uzbekistan, China, the Philippines, Thailand and other South Asian countries are often exploited economically and sexually. They are lured to South Korea with false promises of work; once there, they find that they have been promised to South Korean men or that work in question has to do with sexual tourism. Approximately 3.7 million tons of CO2 is produced every year by each of South Korea’s many inhabitants. The situation stands in dire need of improvement. The impact of pollution on children is profoundly negative. It compromises their right to live and grow up in a healthy environment, and it detracts from their future prospects. South Korea has made a certain amount of progress in reducing its ecological footprint, but more needs to be done.